The Heart's Code: Tapping the Wisdom and Power of Our Heart Energy, by Dr. Paul P. Pearsall, is a fascinating synthesis of ancient wisdom, modern medicine, scientific research, and personal experiences that proves that the human heart, not the brain, holds the secrets that link body, mind, and spirit. There was a magical exchange across at the Facebook page of the Web Organization for Research into Knowledge (W.O.R.K.) the other day, and I feel that it is well worth reproducing here, for posterity, before it is lost in the labyrinthine archives. But first, a little more context. 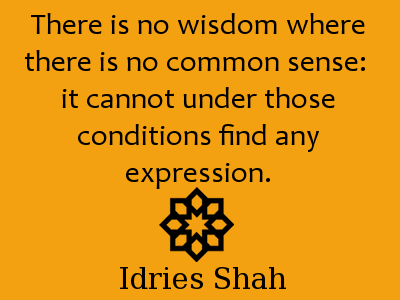 "Jokes are structures, and in their Sufic usage they may fulfil many different functions. Just as we may get the humour nutrient out of a joke, we can also get several dimensions out of it on various occasions: there is no standard meaning of a joke." "One of the characteristics of many truly metaphysical jokes (that is, tales and quips intended to jolt the consciousness) is that they are viable in several different ranges of meaning." 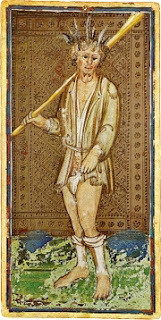 One of the commentators, B.D., thoughtfully explained that: "The Nasrudin tales are perhaps the best example of the 'metaphysical joke' genre. In any one tale it is difficult to tell, solely by looking at his external behavior whether the Mulla [Nasrudin] is 1) a wise man 2) a fool 3) a wise man who is acting the part of a fool as a mirror for his audience, or 4) a fool who is rationalizing his foolish behavior in order to make himself appear wise. All of these possibilities are present in the best Nasrudin jokes, and while we are on the topic, all of these possibilities (in so far as Nasrudin is a mirror) are present in our own behavior." [Nasrudin holds up a mirror to our faces, so that we can see our wayward self reflected in the jokes]. Tahir Shah has been steeped in traditional storytelling, folklore, legend and creative mythology from an early age and he was brought up in a family gifted in the art and possessing vivid creative imagination. 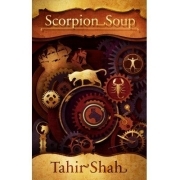 This shines through in the interlinked short stories which comprise Scorpion Soup: A story in a story, which was inspired by the One Thousand and One Nights. As each tale is recounted and segues into the next -- as if hinting at and mimicking the world itself emerging and blossoming in a stream of consciousness -- the reader is tantalized by what he has read and drawn into and drawn along by what "moreish" tale might come next. Tales not only of creative imagination, but also -- as is the way of the world -- partly-cautionary tales about its wayward cousin, spurious imagination; at times recurring tales of wondrous destiny and also of less happy fate; tales whose apparently-opposing warp and weft are craftily and necessaily woven together to augment the rich tapestry of life. Time and Time Again tells the story of difficult decisions and hard times for the common people with the rise of a violent movement of religious fanatics, the Hujardi, sweeping through the land of Gilgamar. "The culture that was to become so famed for its profound humanity, its immense treasury of learning, its paradisal gardens and its grand architecture hung onto life for so many long years with no more secure a purchase on life than a mountain flower clinging to a crevice in a sheer rock face, or an oasis in a desert. And now a gargantuan monster rears up, threatening to rock the very foundations of our own frail societies." 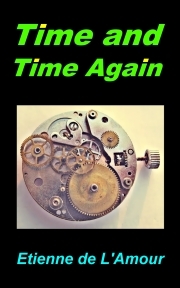 Time and Time Again is a short novel, circa 50,000 words, in the genre of "mystical faction". It is book 6 in the Shadowlands series. The book is available for the Kindle at Amazon UK, Amazon US and European web sites. ASIN: B00AWU9YPK. If you don't have a Kindle, simply google "free kindle reading apps".